The year when it was released, Jewel Thief created great waves. It was on 27 October 1967 that this suspense thriller directed by Vijay (Goldie) Anand was released. He had directed Teesri Manzil the year before for the Nasir Hussain camp. The grand success of Teesri Manzil inspired Navketan to have Vijay Anand direct a thriller for them. Dev Anand produced the film. This was home ground for Goldie and Jewel Thief turned out to be a magnet as far as attracting the audiences to the cinema halls was concerned. Goldie’s screenplay and dialogues gave power to this suspense-filled nail-biting film. Despite knowing the end of the film, people would still watch it again and again. People would beg their friends not to give away the end of the story to them. However, many spilt the beans and spoilt much of the fun that others could have had while watching this fascinating film! Nevertheless, it lured audiences for weeks on end. The safest way for the suspense to be maintained in the film was to have made Ashok Kumar who had always played gentle, positive roles the villain. There was no way that anyone could have thought even once that he was actually the jewel thief. The kind and benevolent Dadamoni could never be suspected by the audience .The story moved slickly and the songs, picturisation of which was Goldy’s expertise contributed greatly to the charm of the film. From “Rula ke gaya sapna mera” to “Aasma ke neeche”; from “Raat akeli hai, bujh gaye deeyay” to “Dil Pukaare, aa re aare aare” — each one of them was a gem and remains a classic today. The dance sequence towards the end of the film, shot in Sikkim, “Honton pe aisi baat main chhupa ke chali aayee” was spectacular. Even now, when watching this dance and hear the song, one gets goosebumps by witnessing its intriguing beauty. SD Burman’s music and the voices of Kishore Kumar and Lata Mangeshkar haunted the landscape of this film with their enchanting melody and rhythm. A not-so-young but sprightly Dev Anand who always looked younger than his age played Vinay who is made to believe that he has a look alike (Amar or Prince Amar) who is actually the jewel thief. However, this is only a story cooked up by Ashok Kumar to trap Vinay. 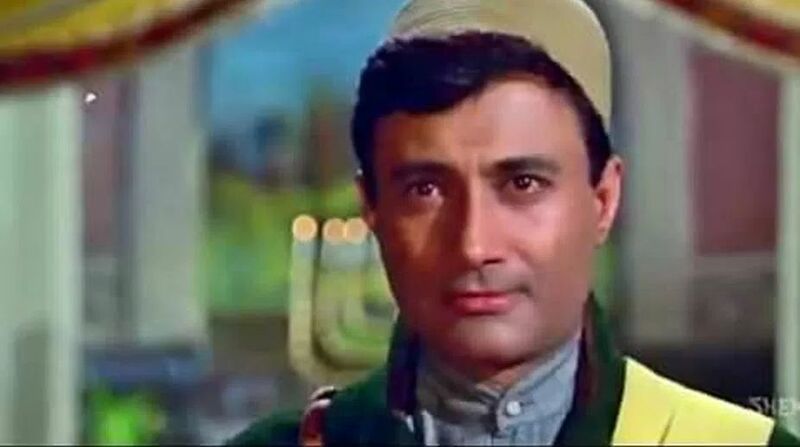 Dev Anand, who had a great fondness for hats, caps, mufflers ties and scarves, bought the “Jewel Thief” cap in Copenhagen .His look with this tweed cap became quite a rage and made him even more stylish than he had been till then. The backdrop of the amazingly green and clean Sikkim lent an added dimension to Jewel Thief. Its freshness has a lot to do with these locales. The stylish sarees and the smart churidar-kurtas worn by Vyja yanthimala became a craze with young girls and ladies of the 1960s.A saree on which cotton buds were pasted was specially attractive and many a young woman made sure she had one like that. Young Tanuja’s scintillating performance brought her a Filmfare nomination as Best Supporting Actress. The taut editing by Vijay Anand helps in heightening the suspense, which adds to our wonder at the elusive Prince. Also, the background score is just perfect for the bewildering story and events. It is not easy for a film to remain so unique and special for half a century. Even if the new generation watches it, they would feel that the pace is quite in keeping with today’s world. The songs are as good as they can be. Burman’s music will always remain young and trendy. A sequel to the film that came in 1996 by the name Return of Jewel Thief could not make a mark. It had Dev Anand as part of its cast and Ashok Kumar too. Goldie’s magic could not be matched and nor the scintillating music of SDBurman. The year 1967 had other suspense films too. Suspense was, it seems a major flavour of that spectacular year. Raaz, Farz, Hamraaz, Anita, Jewel Thief and Raat aur Din all had a major component of suspense and mystery. However, Jewel Thief had nail-biting, exciting suspense, which none of these films could manage to create. After Guide in 1965 and Teesri Manzil in 1966, this film was Goldie’s third major success as a director. Johny Mera Naam and Tere Mere Sapne would come later to establish him even more strongly as a master film maker. His direction, editing, screenplay and dialogues went a long way in making Jewel Thief the wonderful, evergreen classic that it is. A winner all the way!